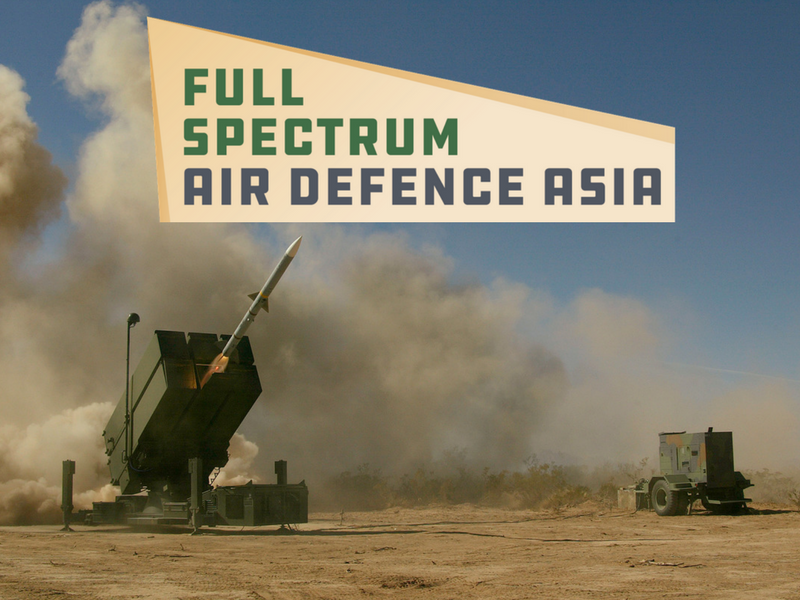 The proliferation of ATGMs and the unpredictability of short-range 360-degree urban battlespaces presents a serious challenge to armoured vehicle manufacturers. 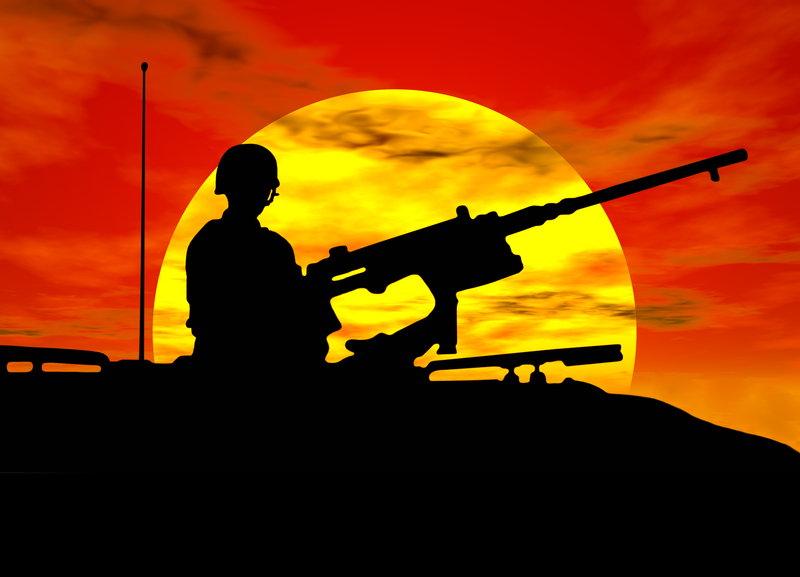 The strategic environment in which armoured vehicles operate is ever changing. The last decade was focused on providing more protection against IEDs and rocket-propelled grenades, resulting in shaped underside hulls and cage armour. However, the focus has shifted back to traditional requirements and the ability to defend against ATGMs and peer threats at long range. There is no 100 per cent solution, but a wide array of half-solutions that if combined, can greatly enhance survivability. 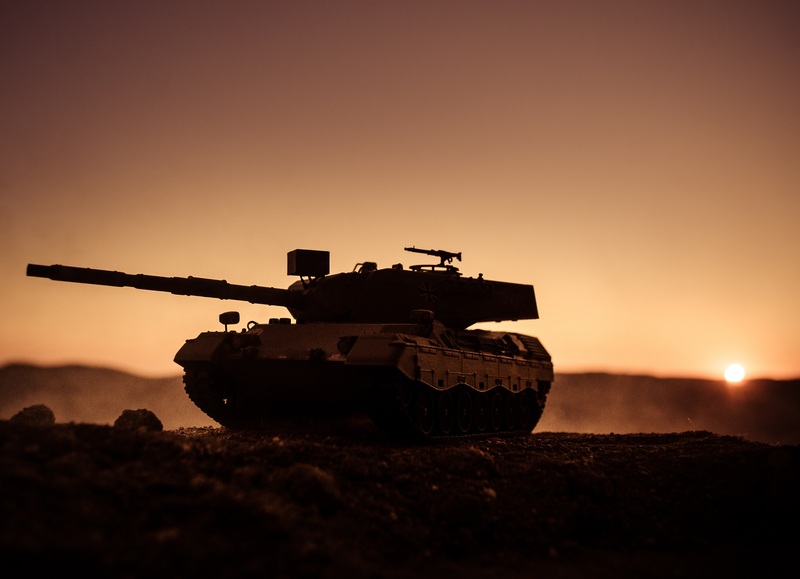 Whether this entails operational changes, such as deploying a higher ratio of mobile 35-tonne AFVs in support MBTs, or the utilisation of active protection systems and increased vehicle modularity. Overall, it is evident that the choice is no longer between defence against traditional peer threats or asymmetrical counterinsurgency threats. 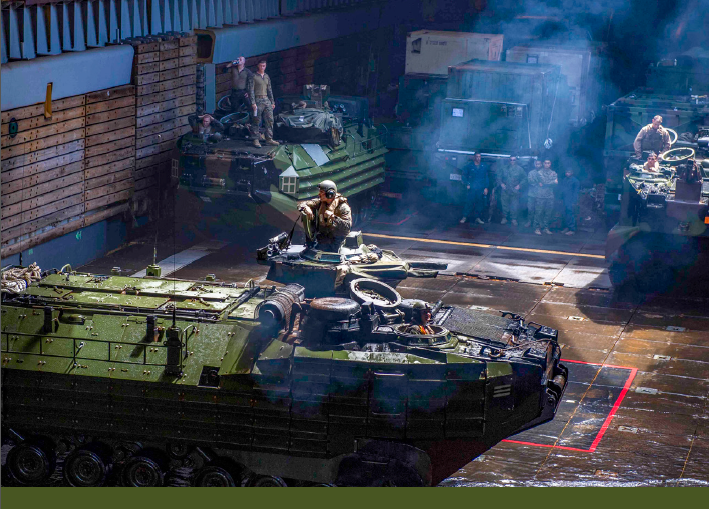 In today's complex environment, armoured vehicles should be adaptable and modular enough to address different threats. 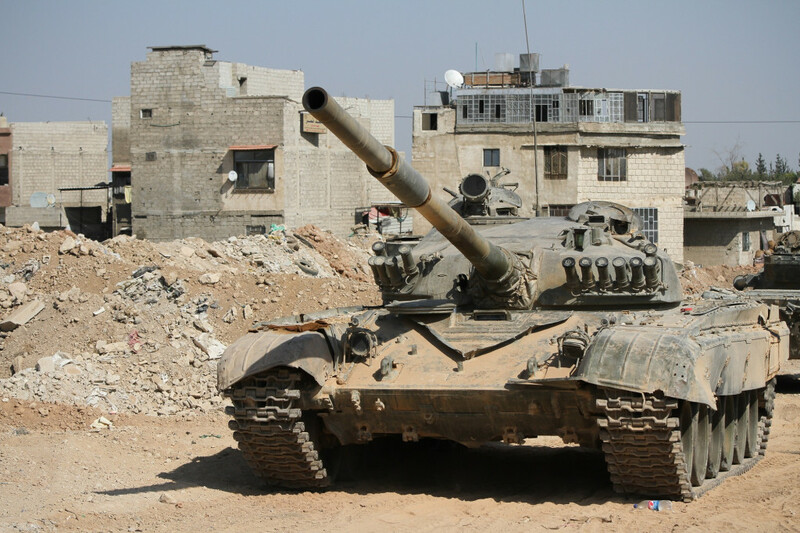 Is the main battle tank the only vehicle that can survive an anti-tank environment? For many years aircraft have had active countermeasures as a core component. No modern jet will go into production without tech enabled-aid systems, and this philosophy is gradually making its way into the land domain. 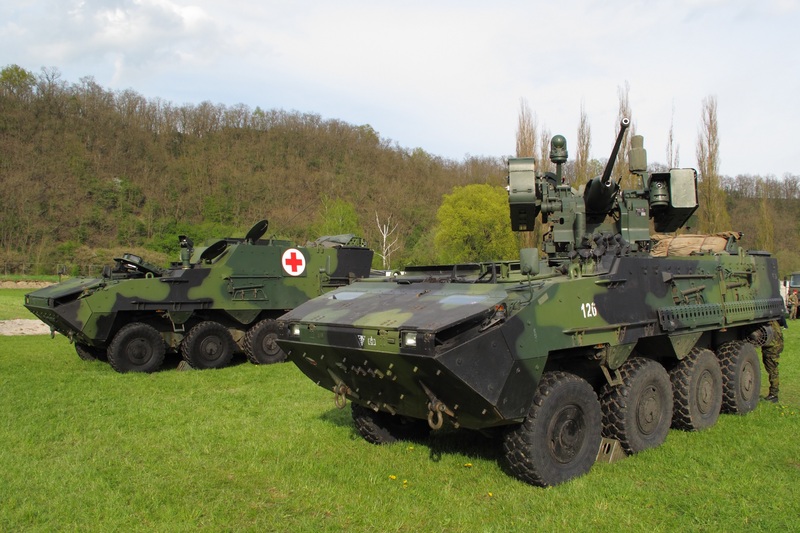 At the moment, current NATO vehicle fleets have a high level of protection against mines, improvised explosive devices and rocket-propelled grenades. "In this era of multi-domain warfare, the land, sea, and air domains are evolving to be one seamless arena and modern forces can detect, engage and prioritise targets"
However, conventional conflicts require different levels of protection where main battle tanks and tracked vehicles provide high value, where the main threat is from direct fire and anti-tank guided weapons where high-quality armour and a defensive aid system is necessary. Protection will be dependent on vehicle design and maximum weight. For a wheeled vehicle, 40 tonnes is the maximum due to the stress on axle loadings. However, there are material developments taking place that means greater protection from less weight. In addition, it is highly probable that we will see a growing use of active defence systems to increase the level of vehicle protection without adding to the weight. 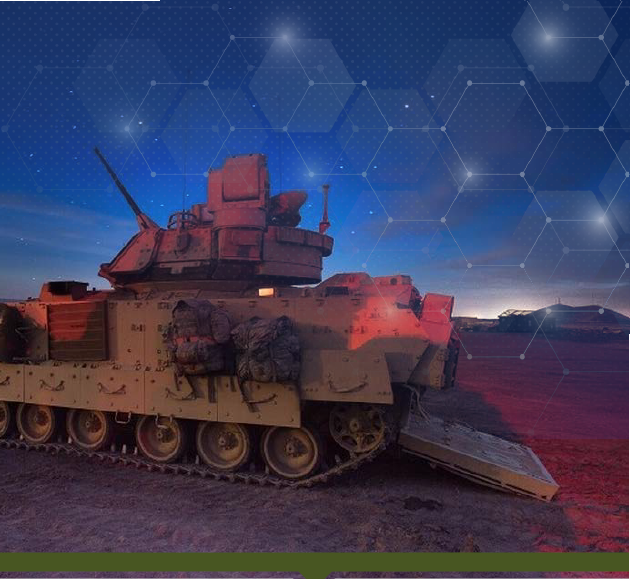 In conjunction, in this era of multi-domain warfare, the land, sea, and air domains are evolving to be one seamless arena and modern forces can detect, engage and prioritise targets with the aid of battle management systems and sensors. As a result, detection management is becoming one of the most vital areas of increasing survivability. 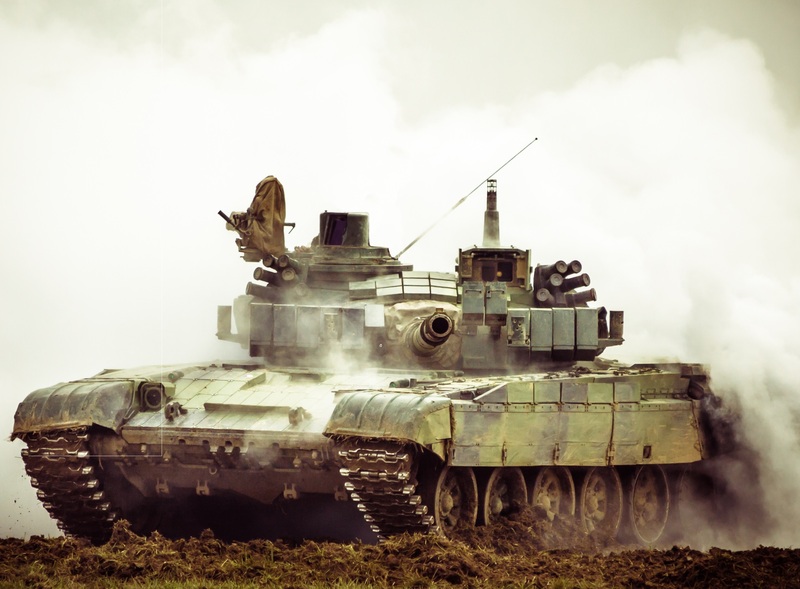 There have been key developments within the Active protection System market. The Trophy system, developed by Rafael, on Isreali Merkava tanks can Intercept incoming ATGMS or missiles and neutralise the threat before it hits the armour. 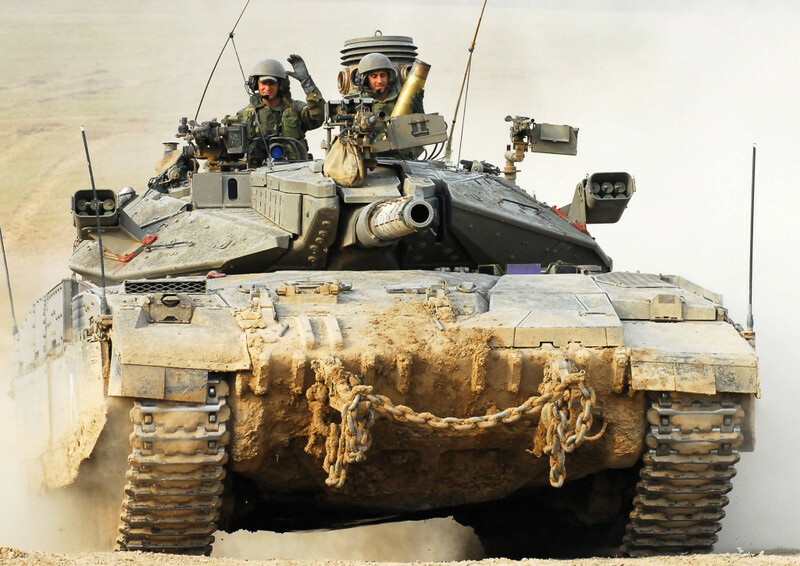 The system is now being retrofitted onto old Merkava models, as well as newer iterations. 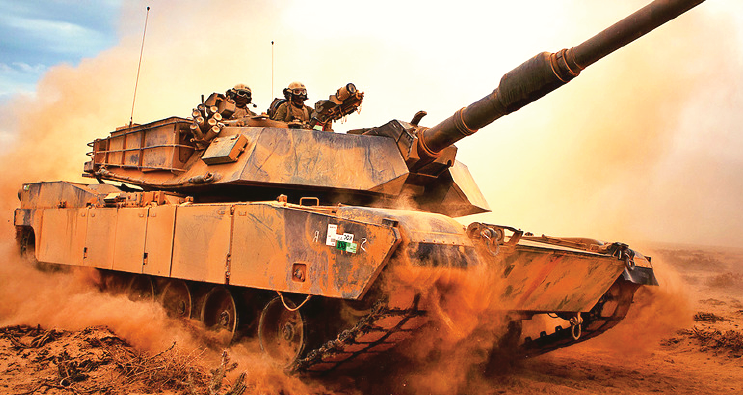 Possible through 360-degree radar and computer-enabled fire control technology, the trophy has also been adopted by the US for use aboard their M1A2 Abrams fleet. Meanwhile, Germany has adopted the soft-kill MUSS system for the Puma, which uses a jammer and multi-spectral countermeasures to prevent air-launched and ground-launched guided weapons hitting the vehicle, as opposed to a hard-kill projectile. 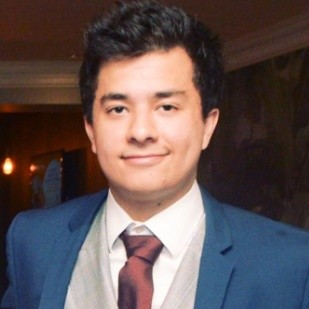 Most APS systems feature a unique design method, but they typically, follow a sequence where the system is alerted to the threat, the threat is analysed, and finally, a countermeasure is deployed to intercept the threat. Additionally, the Ajax carries a laser warning and obscurants capability, which in some regards, can be considered a first generation APS solution. Some systems also enable defence against multi-hit scenarios or sequential hit scenarios. 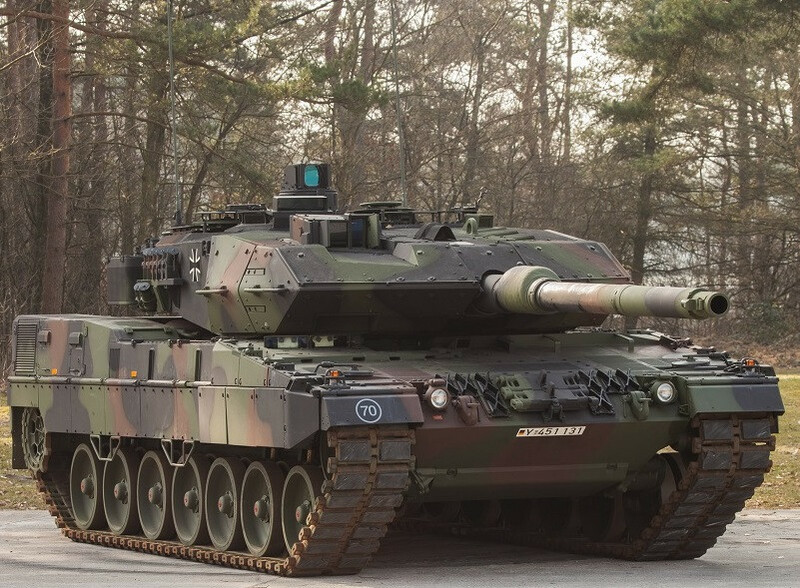 For example, Rheinmetall is developing a system where the incoming threat where threat detection, analysis, and deployment of the countermeasure occurs within 4ms of the threat hitting the vehicle. However, one of the big questions that industry is still trying to answer is if active protection systems can stop armour piercing fin stabilised ammunition. If that’s the case, the large cannons that characterise contemporary tanks will run the risk of becoming redundant. "Industry needs to determine how APS can be a mission-enabling system and cohesive of whole-force considerations"
In addition, coverage of the APS system is still a question that needs to be addressed. More coverage means more components and different attack vectors may still result in residual damage. Last, of all, the industry needs to determine how APS can be a mission-enabling system and cohesive of whole-force considerations. Not just a reactive tool to defeat incoming threats. While APS requirements today are to defeat the threat and reveal the origin of the shooter, requirements will likely evolve rapidly as operational applicability is measured and new threats emerge. 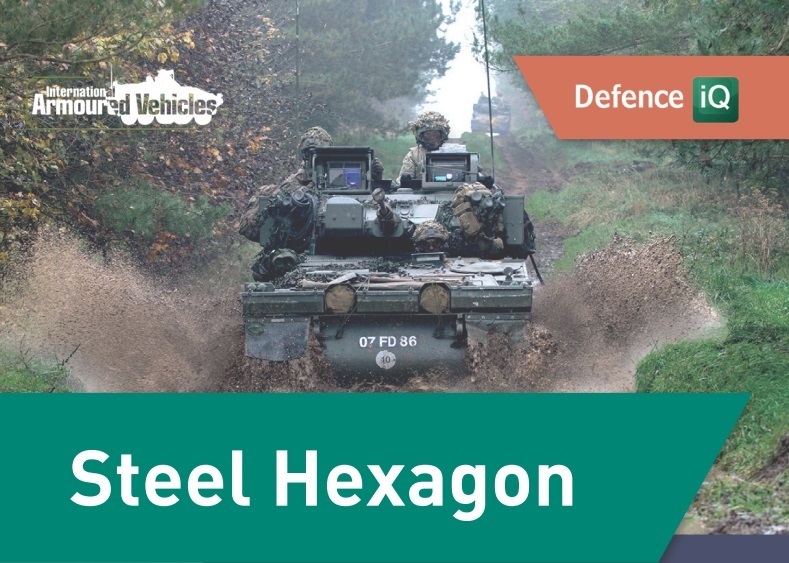 Modularity provides flexibility, ensuring that armoured vehicles are not constrained by their design specifications. There are also designs coming from the DARPA where wheels can be replaced by a track assembly. These are not yet proven but it may be a solution to the tracked versus a wheeled question. Ease and speed of production will also become an important factor in a prolonged conventional conflict where logistics and attrition become vital. It is far quicker and easier to replace an 80-tonne battle tank with modular Boxer-like armoured vehicles or an 8x8. Ultimately, the question is what is the best way of destroying an armoured vehicle? If it is via specialised missiles and ATGMs, tanks in the future will move away from large cannons and the industry will have to react to that, which it already has to some extent with active protection systems. 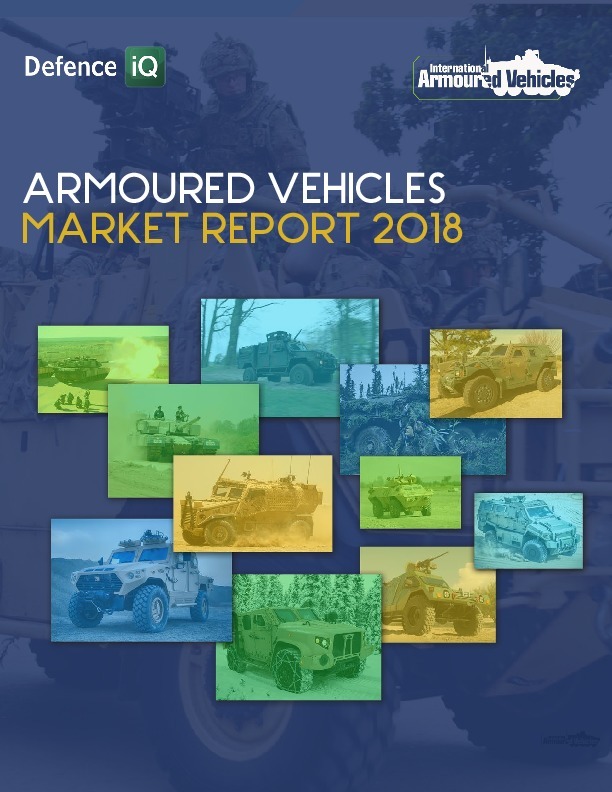 However, tanks with traditional cannons will likely remain a core aspect of armoured vehicles for years to come, certainly up until 2035. We can learn a lot from armoured vehicle performance in recent conflicts, explains Nicholas Drummond, Aura consulting. 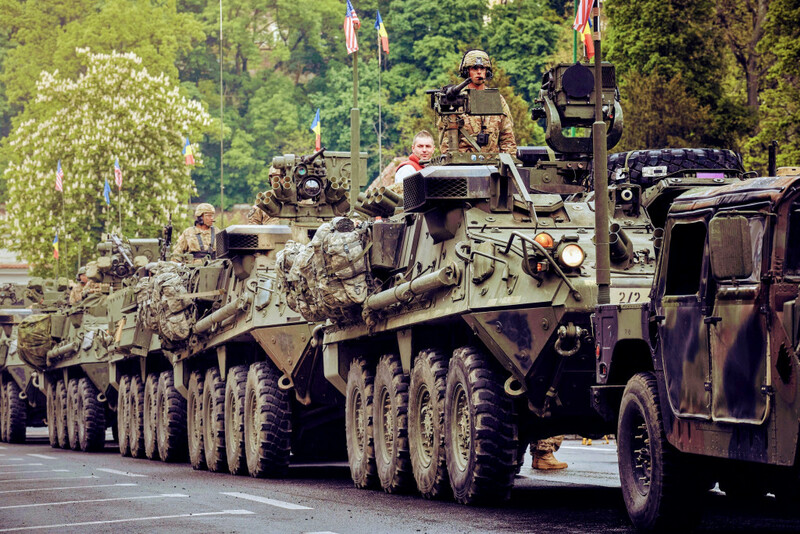 "One of the biggest takeaways from the Ukraine conflict is the importance of armour. Light armour vehicles simply don’t cut it when going up against peer enemies who have the heavy protection provided by main battle tanks." A potential solution is a 25mm cannon on a small mobile platform, but the back blast would introduce several issues. 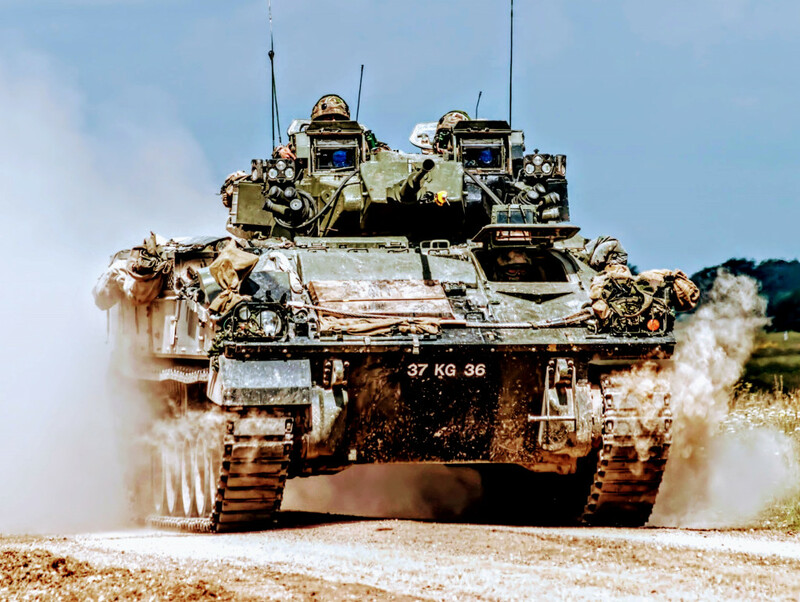 "Light armour vehicles simply don’t cut it when going up against peer enemies who have the heavy protection"
Modern sensors and the proliferation of sensor technology is one of the biggest issues in armoured vehicle survivability. 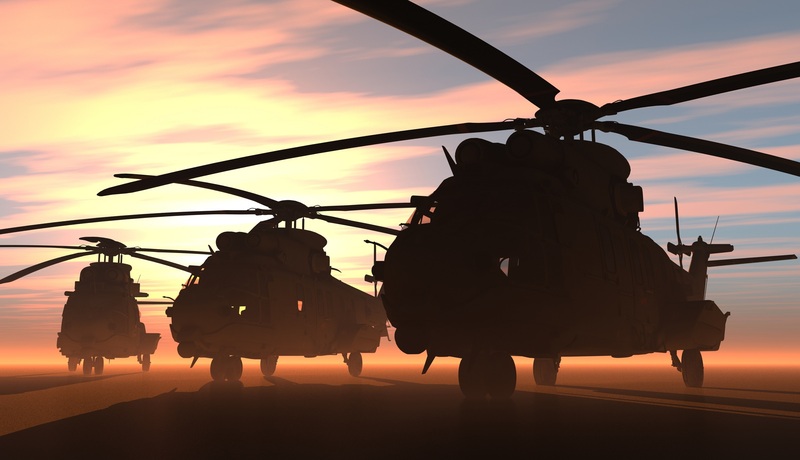 Increased awareness and detection capabilities can break adversaries overmatch in an operational situation, significantly increasing target acquisition capabilities and first-hit likelihood. "Even in contemporary warfare, decoys are proving effective at fooling adversaries with multi-sensor and long-range capabilities"
With high altitude UAVs, mid-range fixed-wing reconnaissance systems and short-range ground-based reconnaissance systems, it is becoming increasingly challenging to avoid detection, as all modern armies have the full-spectrum sensor capabilities, and at the very least, near-infrared, thermal infrared and radar. Even in contemporary warfare, decoys are proving effective at fooling adversaries with multi-sensor and long-range capabilities. Saab is currently researching a variety of mobile camouflage solutions to increase survivability. Core components of signature management include multispectral signature management in place of the real force, mimicry to camouflage the real force assets, and providing decoys to give the relevant signature in all parts of the spectrum where there is a sensor. Like other systems, sensor and signature management should have wider mission capabilities. The purpose of a decoy is to be seen, as a result, some questions that industry needs to answer is what parts of the system need to be the decoy and what sensors need to be fooled, and how to integrate decoys in a manoeuvre context?